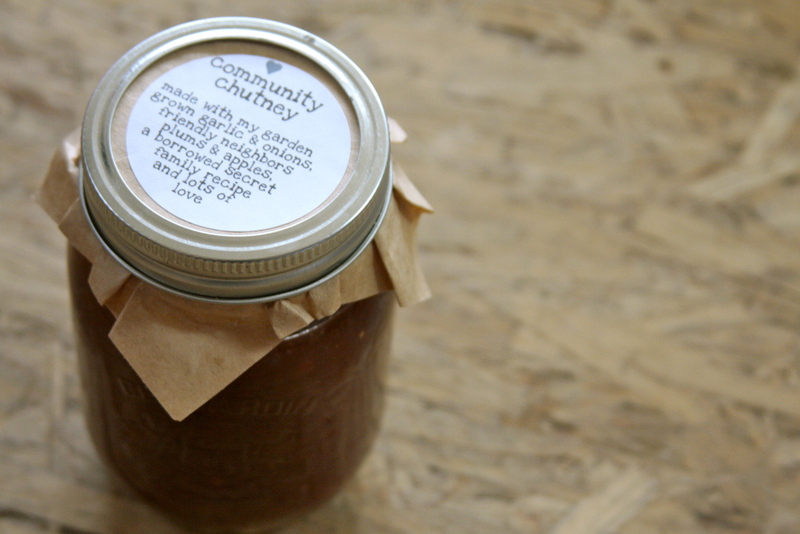 community chutney | eating with S.O.L.E. Combine first nine Ingredients. Bring to boil and cook over low heat for 15 minutes. Add sugar, fruit and cook until fruit is soft and thickened slightly, about one hour. Portion into sterilized jars and hot water bath process for 15 minutes.